There is something about a fence and cattle on the other side. It makes you stop and just take it all in. I'm loving that as a child I stood at and climbed over this same fence to get closer to the cattle in the summer (my dad's a farmer, not a rancher so when I say "cattle" I mean four or five at a time) or to go sledding in the winter. I'm loving that my nephews (and soon my nieces) get to experience the same kind of childhood as my sisters and I had on (or near) the farm. I'm loving that my dad is the kind of grandpa (or Papaw) that his dad (my Grandpa) was...patient, kind, loving, silly, fun and wise. I'm loving my simple country life (that is still just 30 minutes away from the closest mall) and that I share it with my family. 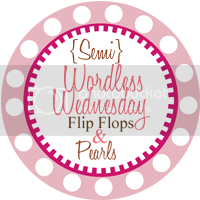 Linking up to Wordless Wednesday over at Pinke Post. What great pictures! I am loving the country life too today. I needed some alone time. Wouldn't trade this life for anything. I'm a middle child (2nd of four girls) living in Middle America (Indiana to be exact) approaching middle age (35 is coming way too soon) always in the middle of doing something (finishing is the hard part). From My Front Porch . . . .
How Long Does it Take to Plant and Harvest Your Crops?